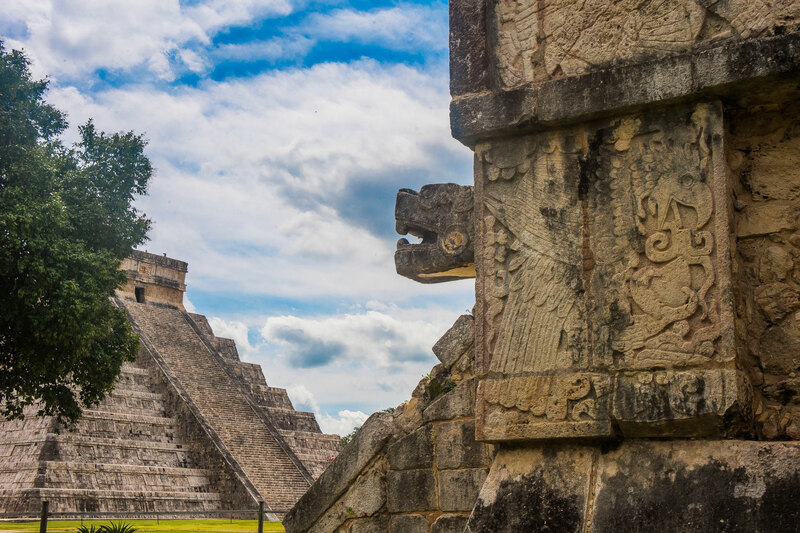 A full day of discovery awaits on this action-packed tour of Riviera Maya highlights, including Chichén Itzá, one of the new wonders of the ancient world. Your tour of Chichén Itzá is sure to amaze you, with spectacular grand architecture and history coming to life. You’ll enjoy a snack and a cenote swim in a Mayan community next, which is a time to take a breathe and take in the peaceful surroundings. Next stop: Valladolid, where colonial charms await on cobbled streets. We’ll serve you a sumptuous lunch in a colonial building, before the trip home after this memorable day of sight, sound, smell, taste and touch. Shared expeditions (min 4 people) run Mondays, Thursdays and Saturdays. Private expeditions run every day. Kids pricing is $100 usd/pp. Please indicate your preferred language when inquiring. Note: private expedition price per person decreases for larger groups.